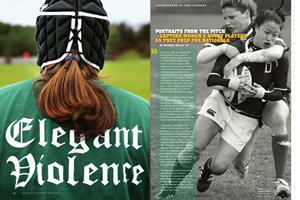 Portraits from the pitch capture women’s rugby players as they prep for nationals. 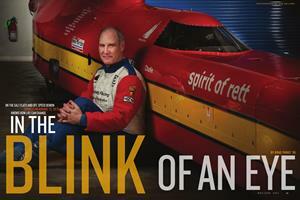 On the salt flats and off, speed demon Charles Nearburg ’72, TH’74, knows how life can change. 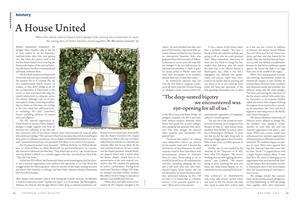 When five alums tried to keep a black pledge from joining their fraternity in 1956, the young men of Delta Upsilon stood together. Once considered an exotic language to learn, students now view Chinese as a practical pursuit. Bronx public defender Mary Anne Mendenhall ’02 fights an uphill battle against the unintended consequences of foster care. A behind-the-scenes look at how the Kim administration faced down a two-year, $100-million budget deficit to position Dartmouth for future growth. A 45-year-old boy grabs a board, heads to the coast and falls in love with the perfect wave. Thanks to a turn-of-the-century alum known for his shady dealings, a New Jersey homebuyer got just what he wanted—a home with history. The digital age has brought about a decline in letters delivered to the 4,970 student boxes at the College post office. Mail handlers, however, remain busy: The number of incoming parcels has grown by 10 percent annually.